This production is in partnership with Theater Latté Da. 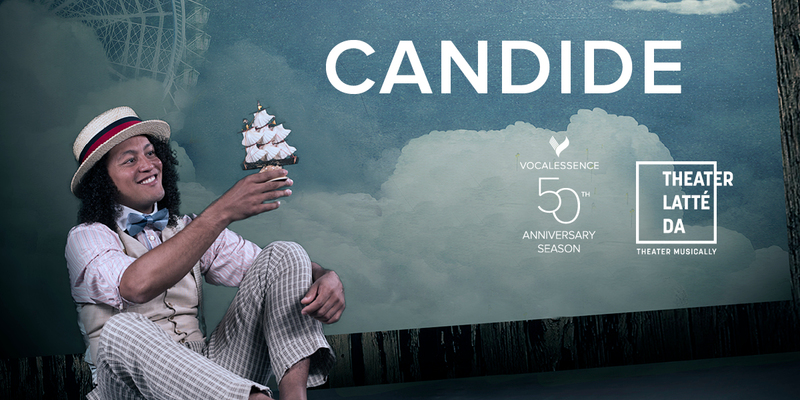 With star-crossed lovers, villains, Monty Python-esque comedy, and a beautiful score, Leonard Bernstein’s Candide is opera for the people. Wrapped in irony, this musical follows the optimistic young Candide in search of “the best of all possible worlds” on an extraordinary journey to reunite with his soulmate. Imagined by Theater Latté Da’s Peter Rothstein, the all-star cast will perform a theatrical concert version, allowing audiences to savor the epic beauty of Bernstein’s music. Tickets are also available as part of a 50th Concert Series Subscription. Choose 3 or more Concert Series events to subscribe. Click here for directions and parking information as well as restaurant suggestions. PARKING ALERT: The MN State High School basketball tournament is taking place at Target Center, which may limit parking and increase cost. Please plan plenty of time for locating parking.